It is taken for granted that power corrupts. This is reinforced culturally by everything from Machiavelli to contemporary politics. But how do we get power? And how does it change our behavior? So often, in spite of our best intentions, we lose our hard-won power. Enduring power comes from empathy and giving. Above all, power is given to us by other people. This is what all-too-often we forget, and what Dr. Keltner sets straight. This is the crux of the power paradox: by fundamentally misunderstanding the behaviors that helped us to gain power in the first place we set ourselves up to fall from power. We can't retain power because we've never understood it correctly, until now. Power isn't the capacity to act in cruel and uncaring ways; it is the ability to do good for others, expressed in daily life, and itself a good a thing. 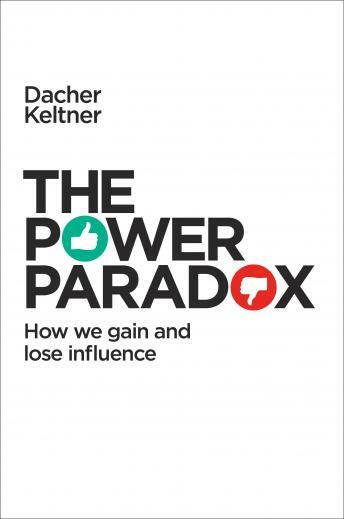 Dr. Keltner lays out exactly--in twenty original 'Power Principles'-- how to retain power, why power can be a demonstrably good thing, and the terrible consequences of letting those around us languish in powerlessness. *Includes Bonus PDF with images, graphs, and exercises.